Also called a P6 pastry tube. Unlike most other nozzles, this has been specially manufactured without a seam for perfect piping. 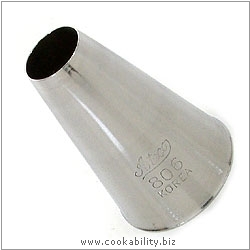 Its stainless steel construction also means it is more hygienic and will not tarnish.